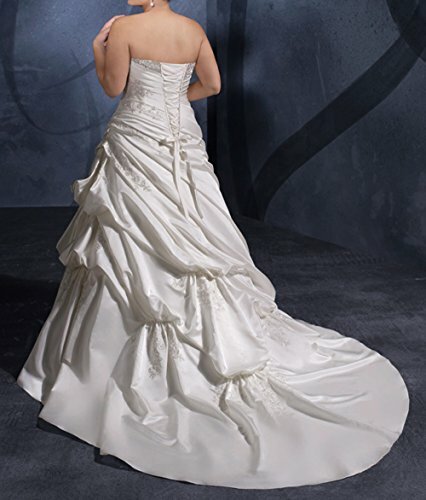 More Beautiful wedding dress at our store. If you need a custom made size, please contact us and send us your measurement details, such as Bust, Waist, your height without shoes and with shoes. 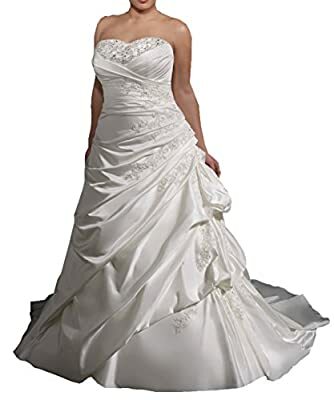 If you order a wrong size wedding dress by yourself, we can not accept the return, please understanding. Fabric:Satin. Sweetheart Sweep Train. For accurate measurements of Bust, Waist, Hips and Hollow to Floor,Notice : Please Select the Size According to Our Size Chart Image on the Top Left . Shipped from China, Our Standard Shipping Time is about 25 Business Days to USA. If you have any doubts about your size, please contact us freely, and we are always at your service.